The building is a TT scale model Arnold (now a brand of Hornby) brought on the market in 2017. 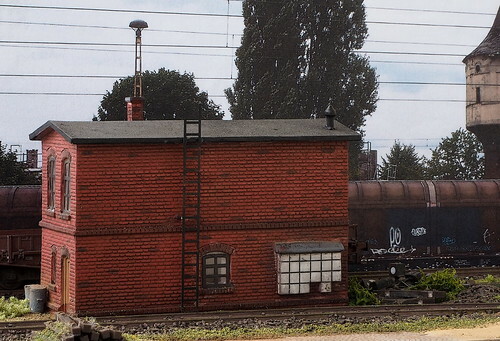 It's a resin model with a nice brick structure. Since the colour was too bright for a prototype located in the North-Eastern part of Germany, I had to repaint with the characteristical dark red brick colour.